Mr. Lane entered the securities industry in May 1969 with a bank-trading firm in New Jersey. He founded Lane Capital Markets, LLC in 2001 as an Investment Banking Partnership. Mr. Lane has managed/co-managed over 45 IPO or secondary transactions and has participated in hundreds of underwriting and selling groups since the early 1990’s. Prior to forming Lane Capital Markets, he held the position of Managing Director of Capital Markets at a New York based firm in Fairfield County, Connecticut. He has been associated with several major firms including Boettcher & Co., Advest & Co. and Dain Rauscher. Mr. Lane has served as officer, director, owner, trader, department manager, corporate finance director and syndicate manager. He has been active in several Fairfield County organizations. Mr. Lane has been quoted in Business Week, Barron’s, Forbes, Investment Dealer Digest, The New York Times, The Wall Street Journal, Entrepreneurial Magazine and several other business publications. Mr. Lane served as a Director of the National Investment Bankers Association between 1991-1995 and has served as a Director and Advisor to several boards. He has spoken publically on issues facing the changing securities industry. Having traveled several times to Washington, D.C. he has lobbied on behalf of the securities industry. Mr. Lane has specifically dealt with issues and challenges facing small broker dealers and their ability to compete in the capital raising process. Mr. Lane has been an active member of several SIFMA committees, including the SIFMA Small Firms Committee, in which he was Chairman in 1994, the SIFMA Membership Committee, in which he was Chairman for several terms, and also served three years on the SIFMA Syndicate Committee. 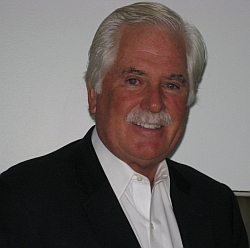 Mr. Lane served as District Chairman, for several years, of the Security Industry Association’s New England district. In 1996, John traveled to China with SIFMA, representing small firms, for 17 days as a guest of the Chinese government to meet with banks, brokerage firms and the government to discuss experiences in the capital-raising arena and several topics regarding the securities business. Mr. Lane had, for several years, served as a FINRA mediator working to resolve industry disputes. Mr. Lane was appointed to a three-year term to serve as Chairman in 2002 on the FINRA District Business Conduct Committee out of Boston, MA. Mr. Lane completed a three year term on the FINRA Small Firm Advisory Board, which meets and recommends solutions to industry issues and their impact on regional and small broker/dealers. Also, Mr. Lane has completed a three year term on the FINRA Corporate Finance Committee and has been active in crafting a policy on the hot topic of research analyst payment for deal gathering. Mr. Lane worked for two years toward the restructuring of the recently adopted FINRA’s Corporate Finance Rules. Mr. Lane was elected to a one year term on the FINRA Advisory Board in 2002, meeting on national issues affecting the securities industry. In September 2002 Mr. Lane was appointed to the FINRA Nominating Committee, and served as Chairman in 2003 representing the Boston District. Mr. Lane was appointed, in January 2003, to serve on the standing FINRA consultive committee set up to provide input to FINRA staff on the investigations of disciplinary matters involving emerging regulatory issues, standards of practices, new practices and market and securities industry issues where industry expertise would be of value. Mr. Lane currently serves as a consultant to several public and private companies.